I'm so excited to begin my Cliques campaign! But how do I choose the right Clique? 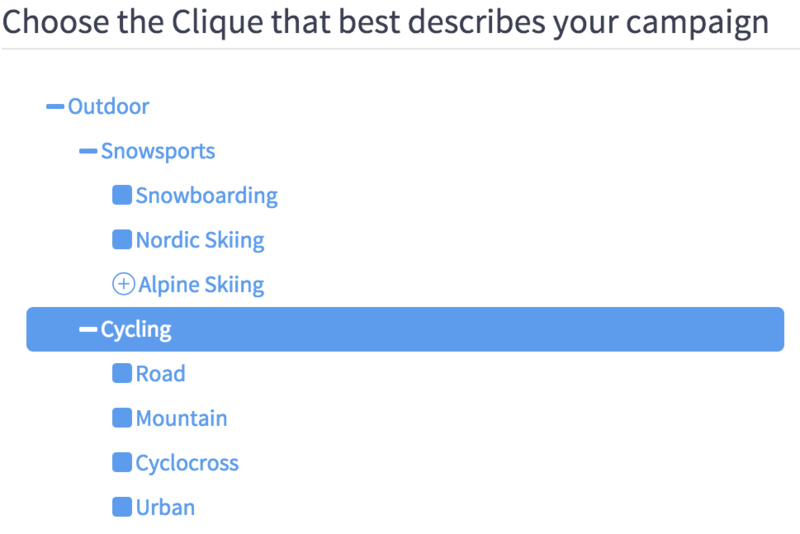 Advertisers must assign themselves to a Clique, a list of which can be found here or on the console under the "Cliques" tab. Though common sense would lead you to choose the broadest category possible (the outdoor Clique), our proprietary Bottom-Up Bidding system actually works the opposite way: the more specific your category, the more relevant the sites on which you can bid. You can learn more about how this works right here.